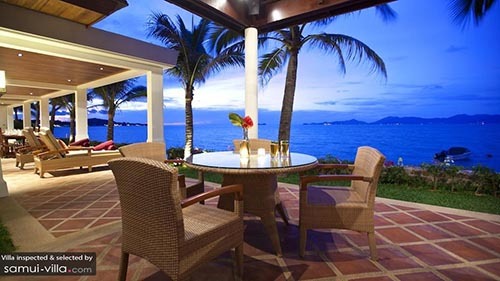 An idyllic vacation on Samui provides plenty of opportunities for you and your other half to add a dash of romance and sparks to your relationship. 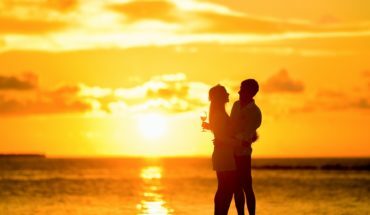 Fill up your days with a variety of romantic activities, let your daily cares and concerns melt away under the soothing touch of the expert massage therapists, pamper yourselves with a decadent meal in a beautiful setting and savour a cocktail (or two) under the starry night sky. At the end of a lovely day out, a charming villa, furnished with cosy touches and intimate living spaces, is a place you’ll want to call home. 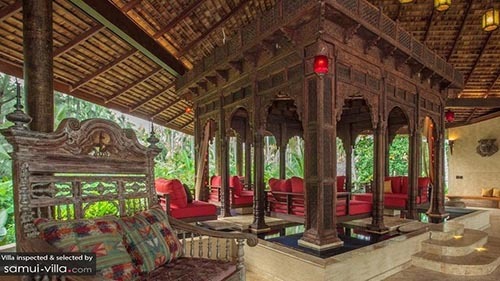 Thoughtful touches throughout the palatial Villa Kalyana makes this an ideal vacation abode for the romantic at heart. Along with that special someone, soak up the tropical rays while you lie against the pillowy loungers, cool down from the heat in the sparkling pool, catch a nap on the charming hammock and dine under the stars in the Bedouin-inspired outdoor terrace. Stunning ocean views and a spectacular beachfront setting makes Villa Hibiscus seem like a holiday home on a glossy postcard. Vacation makers will want to while their time away in a langourous manner by relaxing in the comfortable living spaces within, or lounging by the poolside and under the breezy pavilions outdoors. 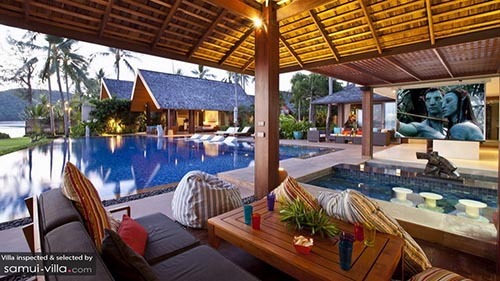 A stay at Villa Neung promises to add a dash of romance and plenty of sparks into your couples getaway. 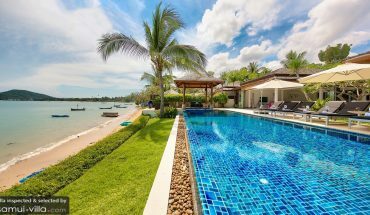 Set on a secluded cove on Laem Noi Beach, vacation makers at this luxurious retreat will enjoy having direct access to the beach, as well as a plethora of fine facilities such as an infinity pool, lush tropical garden and an array of well-appointed living spaces. 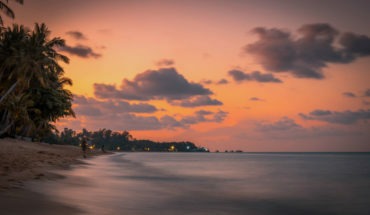 Fill up your holiday with leisurely strolls along the sandy shores, alfresco meals and lazy sunbathing sessions – all essential tropical vacation activities that will add an enviable sunkissed glow to your skin. 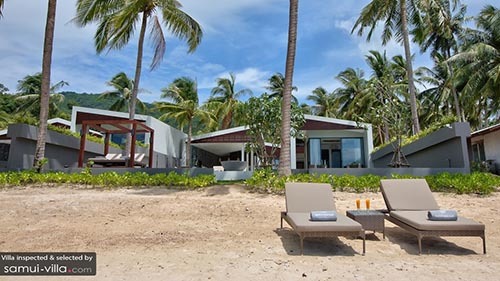 Enjoy the best of both worlds at the luxurious Baan Kilee. This commodious abode offers ample space for accommodating large groups, as well as plenty of snug nooks and corners perfect for two. During social gatherings with the entire clan, crowd around the main swimming pool, sink down into the pillowy couches at the living area or take a seat outdoors to feast on a barbecue spread under the velvety evening sky. In the quieter moments of the day, enjoy intimate moments of couple time together by taking a dip in the second pool within the villa, indulging in an outdoor massage, or going for a stroll along the pristine, white sand beachfront. 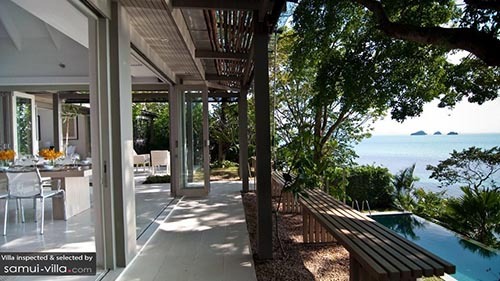 Containing two bedrooms, the cosy Headland Villa 2 serves as an ideal accommodation for couples on a romantic retreat in Samui. An outdoor patio overlooking the scenic Angthong Marine National Park and Five Islands provides a magazine-worthy dining spot for intimate alfresco meals. It comes as no surprise that this dreamy villa makes a homebody out of its guests. With an array of chic living areas and picturesque outdoor spaces, is there any reason for venturing out?